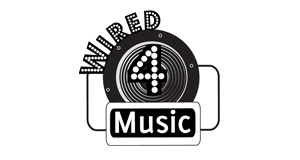 Sound Connections are excited to host Wired4Music’s first live event! We’re looking for young Londoners aged 13-25 to take part in TALENT=FAME?, a live debate and music showcase at Rich Mix (35-47 Bethnal Green Road, London E1 6LA) on Wednesday 2nd November 2011, 7:30-11:30pm! The night is produced by Wired4Music, the music council for young Londoners, and features emerging musical acts, video broadcasts from music experts and an exhilarating debate lead by you – the audience! Do you need talent to be famous in 2011? Should fame even be the mark of success? What is the future for young musicians in London? If you’re 13-25, this is your chance to speak up and have a say! With industry experts, networking opportunities and headline performances from In’Sight, Lil Simz and PW this is definitely an event not to be missed! We’d love to welcome representatives and young ambassadors from arts organisations, schools and colleges from across London! So please do sign up and make this a night to remember!